Have you just had a new carpet fitted – are you left with some unavoidable waste? 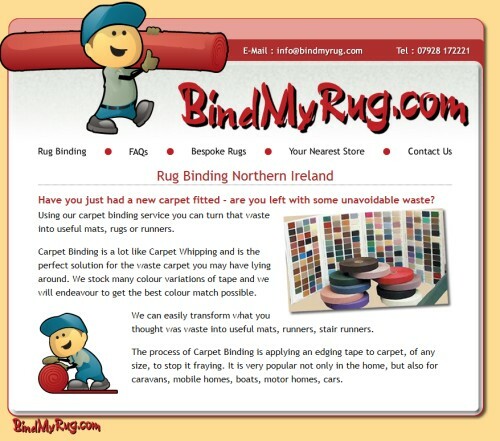 Using this carpet binding service you can turn that waste into useful mats, rugs or runners. Carpet Binding is a lot like Carpet Whipping and is the perfect solution for the waste carpet you may have lying around. We created a simple website with a really funky map to allow customers of the company to find local outlets.